Is the Astrojet sheet different from the earlier release from a few years back? 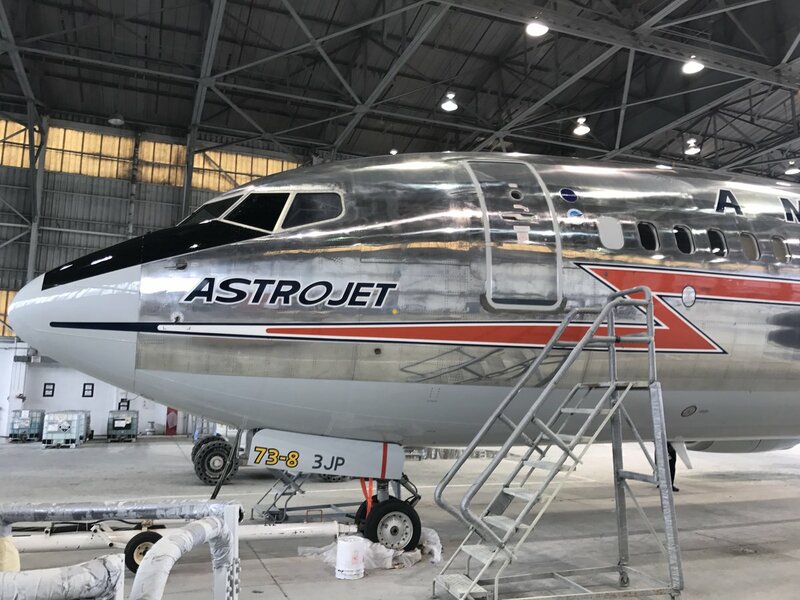 The Astrojet will feature updates to allow you to do it with winglets, which didn't exist when the sheet was done years ago, plus a few other improvements and updates. Thank you! That's super! And, I agree. I miss Continental so much. My last three flights on UAL have been... Meh. I may have to get the Astrojet scheme and then build two versions, an early vision without winglets using the old sheet, and then the new one. Please stop making me spend money! Here's my review of the kit on Hyperscale.. Thanks for the effort and sharing this Jennings. It does indeed look like a near perfect kit. Thanks to your review I'll now know what to be aware of when building this kit, as you have uncovered some very minor inaccuracies. Excellent review, thanks for providing the link. Interesting that Boeing licensed the model (and the name, "Boeing" is prominently displayed on the box art), hopefully they have reduced their fees and/or legal restrictions. I look forward to more Boeing product kits with the increased accuracy this kit has. Interesting that Boeing licensed the model (and the name, "Boeing" is prominently displayed on the box art), hopefully they have reduced their fees and/or legal restrictions. I have not jumped into the airliners� pool� often but I think it may be time to pull out the Speedo, make a few of the ladies puke , and jump back in. I�ve had a project in mind and if I get the Silhouette Cameo cutter for fathers; Day as requested it should be easy to make the masks I need. Though that was pretty cool. Turned out to be �Colorado One�. I immediately bought the Revel-800 then read all that had to be done just to make a good -800, much less convert it to a -700. Now this may happen. Great review Jennings. Hopefully we'll see the 600/700 series from Zvezda. Now can't wait for the reappearance of Liveries unlimited 737 decals! 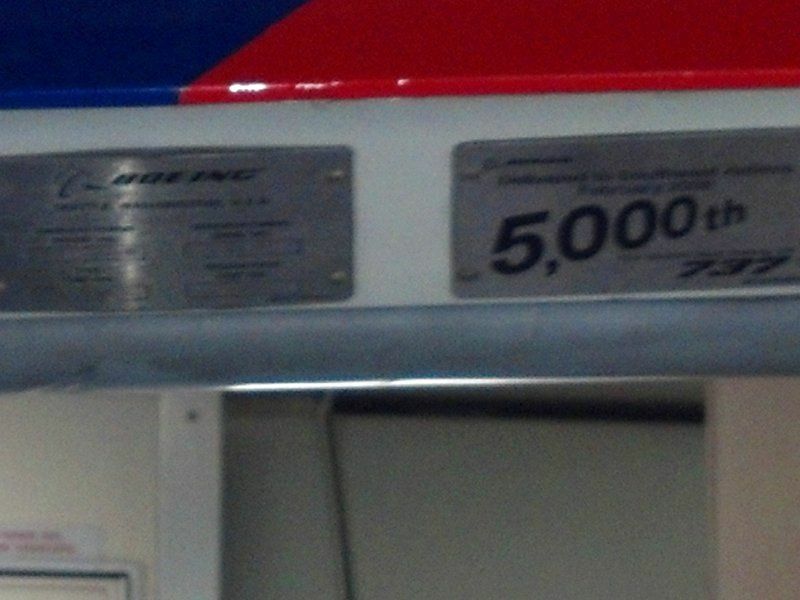 Jennings, any updates on the 737 decals you posted earlier? Hmmm... Hey paint shop, what's wrong with this picture? Saw that. Need more/better photos, but I'm sure I can incorporate her into the sheet. Still working on the artwork at the moment. Yup. That, all of the extra grey, the location of the tail logos and more. On the plus side, at least AAL stayed with a bare metal fuselage, mostly. I can't abide the new AAL scheme with that off-mica grey paint job. Fugly. Hope to see this bird if at all possible. Thank you for your hard work on these new decals. I finally got the Zvezda 737-800. What a beautiful kit! Not sure to be honest. We're strictly pay as you go with our decal printer, and we have a whopping bill to pay off right now for our new F-106s and US national insignias. We have one other military project ahead of the 737s. Where are you folks getting the kits? Ebay? Our Local hobby shops in Toronto have had the kit for for a couple of months now. The first of what's certain to be many Zvezda 737-800s in my collection arrived today. I am happy to write that every nice thing said about this kit is true. There are a lot of nice subtleties about this kit, its design is really smart (I especially love the wingtip/winglet options), and the fit is excellent. I've started building mine, and you will not need much putty at all on this kit. This first one is a test-build for me but I know a lot more are to come, especially if a -700 kit is indeed in the works. This is one of the nicest injection-molded airliner kits I've ever worked with, and it's just fun to work with. Between this kit and Capt. Dornseif's magnificent book, this is a great time for modelers of the 737.